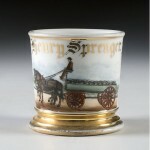 Horse-Drawn Mover’s Occupational Shaving Mug. 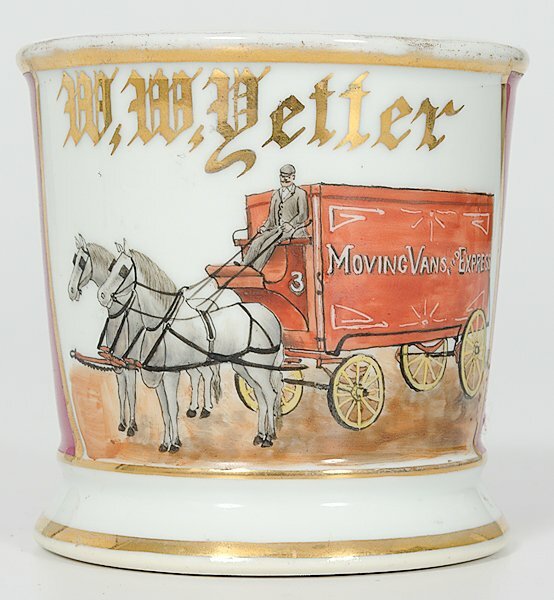 Porcelain with polychrome painted scene of a mover on a red horse-drawn moving van that reads Moving Vans and Express. With magenta wrap and gilt name W.W. Yetter. Ht. 3.5″.